TELLURIDE make-up collection inspired by Bobbi Brown’s favourite destination. This Limited Edition Telluride Eye Palette £39.50 offers the consumer soft earthy colours inspired by the make-up trends for Autumn/Winter 2015 at New York Fashion Week. The palette includes a sleek Dual-Ended Eye Shadow/Eye Liner Brush. 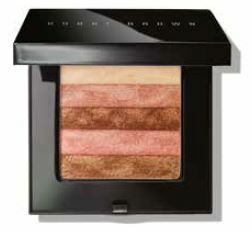 This Limited Edition Shimmer Brick in Sunset Pink £33 helps to add colour and warmth to all skin tones. Superfine pure pearl pigments help reflect radiance and light giving an overall sun touched look. Pot Rouge for Lips & Cheeks £19.50, now available in two new shades and creates a natural soft colour on all skin types & tones. products like these are multitasking and provide simple solution and keeps your make-up to a minimal. Beautifully subtle, natural and perfect for the summer ahead. 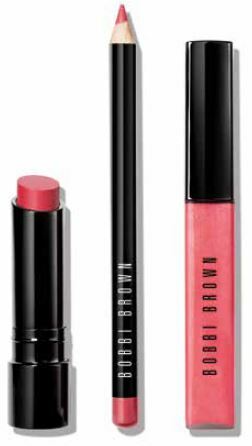 The Lip Trio featuring a sheer lip colour, lip pencil and a lip gloss £39 come in combinations of a Twilight Glow, Pink Dusk and Sunset Pink. Applying and creating couldn’t be easier. The Telluride collection is available 2nd July exclusively in Selfridges and Online and then nationwide 16th July 2015. Bobbi Brown. This entry was posted in Brides, Make-up, Make-up products, Make-up trends 2015/16, New York Fashion Week 2015, Summer. Bookmark the permalink. ← NEW No7 Protect & Perfect Intense ADVANCED Skincare on the shelves today.